A lovely vessel and an entertainers delight. Described by the designer Mike Waller as "a beautiful example of quality workmanship.... ". 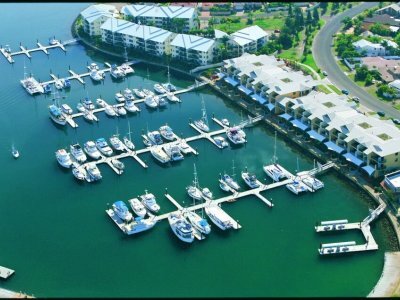 Paktiya is currently lying in Southern Malaysia near Singapore, ideally situated and ready to cruise Malay and Thai waters. Australian registration means she can be returned to Australia without duty. 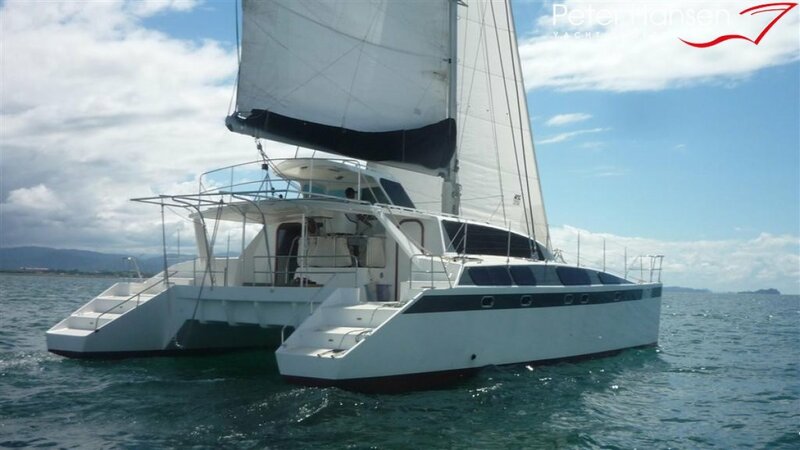 This is a large comfortable cruising catamaran with 4 spacious cabins (2 queens 2 doubles) plus a huge saloon, galley and cockpit area. 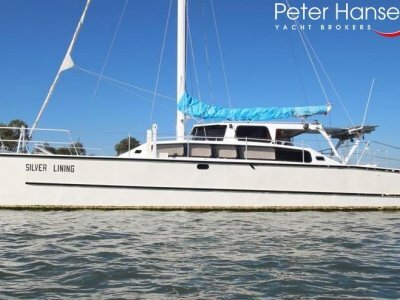 The design features a raised central helm position setup to be sailed singlehanded from there, also providing excellent vision and access and consequently a bigger than usual cockpit. The helm has Arco winches, Rutgerson jammers and other premium equipment including a central electric winch for ease of effort. Mini keels allow for easy beaching. 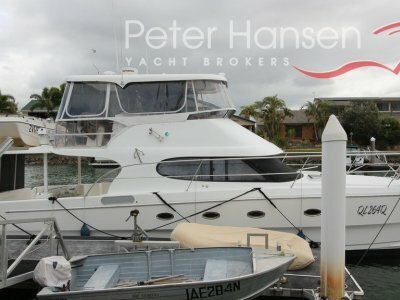 She has a huge well equipped galley including Ozfridge refrigeration and eutectic freezers, Gas cooking and water heating. 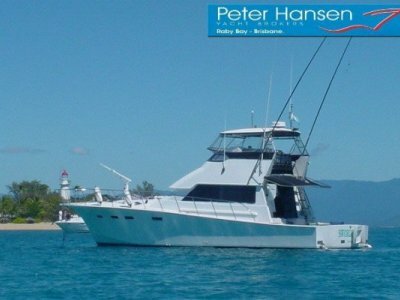 This is a big volume, comfortable and very safe cruising vessel ideally located in some of the best cruising waters in the world and priced to sell. Strip cedar epoxy glass construction, no osmosis issues here!